When I woke up at 6 a.m. I knew that I was in early first stage birthing time (Hypnobabies term for labor). At 8 a.m. I had an acupuncture appointment which I kept. At 10 a.m. I was back home having tacos and starting a movie with my spouse and 6 year old. I only made it 20 minutes into the movie when I knew I needed my Hypnobabies hypnosis tracks (Easy First Stage, Birthing Day Affirmations, and Deepening to stay in a deep state of hypnosis) and a warm bath. This is also when we called our doula, photographer, and sibling doula. At 12:01 p.m. things got far more intense and knew I was in the active stage. By 12:30 p.m. I knew I wanted to go in and our midwife said she could meet us at 1:00. I hopped right into the tub upon arrival at the birth center at 1:15. Shortly after, I started making lots of noise and I was asked if I felt “pushy.” I knew they were pushing waves (Hypnobabies word for contraction) ( but I was too tired to push so I waited through about three without pushing. When I finally pushed, my bag of waters popped. A few minutes later my precious baby boy, Phoenix Malone, was born in one long push. He weighs 7 pounds 14 ounces and is 20.25 inches long (despite being told for months that my GD was causing a big baby). My spouse and doula made me French toast, bacon, and loads of blueberries, strawberries, and raspberries. We were discharged 4 hours after his birth and everyone is resting comfortably at home. 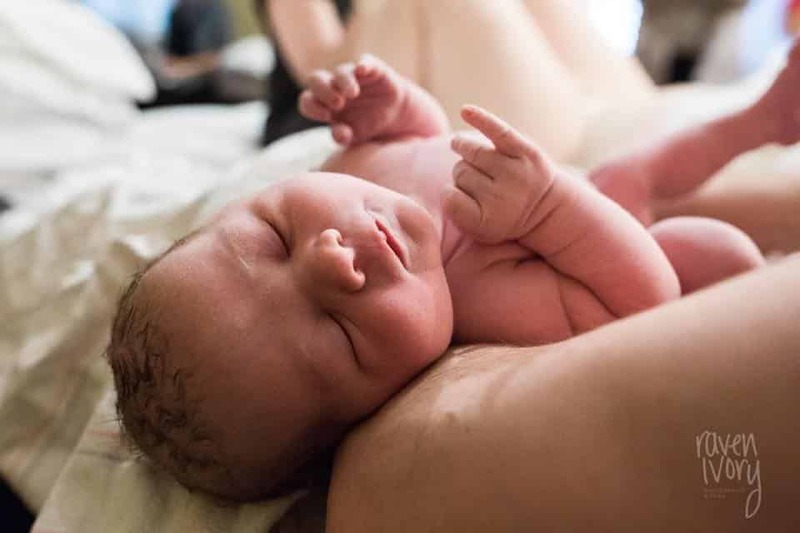 I could not be more thrilled with my birth story. Thank you Hypnobabies!